Party Gaming are close to purchasing the WPT from under Gamynia noses. Gamynia who put in a bid earlier this month looked close to closing the deal. 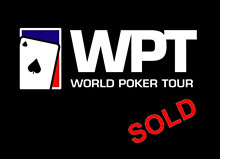 However with Party Gaming coming in with a better offer, it looks like WPT is set to move to the Party Gaming brand. Party Gaming the company that owns also Party Poker, which before the UIGEA was the largest online poker network, has confirmed they have put in a bid worth over $15 million. This suggest that Party Poker are looking for away back into the U.S market or at least proparing themselfs for the UIGEA to be overturned. This entry was posted on Tuesday, August 25th, 2009 at 6:05 am and is filed under Poker Industry News. You can follow any responses to this entry through the RSS 2.0 feed. You can leave a response, or trackback from your own site.